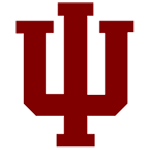 The two best coaches in Indiana University’s athletic history are Doc Counsilman (swimming) and Jerry Yeagley (soccer). Sorry Bob Knight fans, both of those guys accomplished more, and did it without controversy. Yeagley’s life makes for a great story, like something out of a schmaltzy Disney movie from the Fifties. He attended a small high school in Pennsylvania that beat a large Philadelphia school for the state championship. He then attended tiny West Chester State College and was part of a team that won the NCAA championship in 1961, beating St. Louis. That was like a small college team beating UCLA for the NCAA basketball title later in the decade. Yeagley was hired as a Phys Ed instructor and club soccer coach at IU in 1963, with the promise the sport would be made varsity soon. 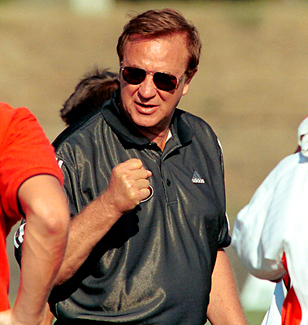 It wound up taking 10 years, and athletic director Bill Orwig was against the idea all along, but Yeagley immediately built a winning program. By the time he retired in 2003 he had won six NCAA titles and six national Coach of the Year honors, and compiled a 544-101-45 record. To get to that point, he endured a lot of days spent scouring the campus for players, driving his club team to away games in the family vehicle and washing the uniforms at home. I worked with Yeagley on a couple of soccer instructional books, and can tell you he’s an easy guy to work with. IU was awfully lucky to get him. And keep him. He was more than the university deserved, really, given their reluctance to make soccer a varsity sport.